I’m not going to show you all the things you can do with SVG, if you like a very good introduction I can recommend Sarah Drasners Talk SVG can do that?!. 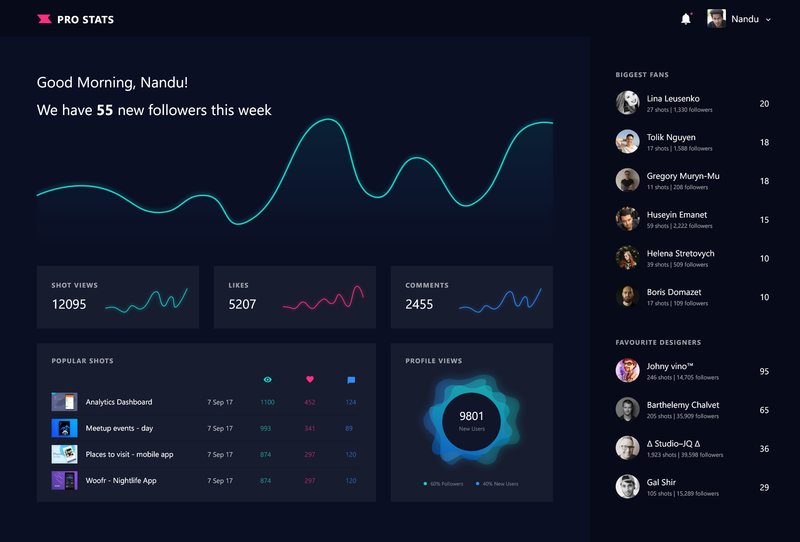 Instead I’m going to show you how you can use Adobe Experience Design as a starting point to create svg graphics, which you than can easily mold into a reusable and configurable react component. This could basically work with any other design tool, such as Sketch, Figma etc, you named it – as long they allow you to export graphics as svg. So, let’s start. First off, we need an Adobe XD Prototype containing elements we could turn into react components. For this blog post, I’m going to use something from www.uplabs.com. To export the elements as svg we need to select the group containing the elements, right click and then “Export…”. As Format we must choose “svg”, The other options are not relevant for this example. After clicking export we can open the svg. But this will throw some errors, for example, JSX doesn’t support xml namespaces (like xlink:href) – Namespace tags are not supported, ReactJSX is not XML. Gladly, react allow to use camelCase notation, which will render the correct xml namespace. So all we have to do is to replace xmlns:xlink with xmlnsXlink and xlink:href with xmlHref. This will render the demo component. All we have to do now is replace static text with real values. For example, the linear gradient offset should be adjusted to show how many profile views are from new users and how many are from people who follow us already. Also, the percentage at the bottom of the component should be updated accordingly to our users. The same goes for the “New User” counter in the center circle. A next step could be to add some nix hover effects or animations. 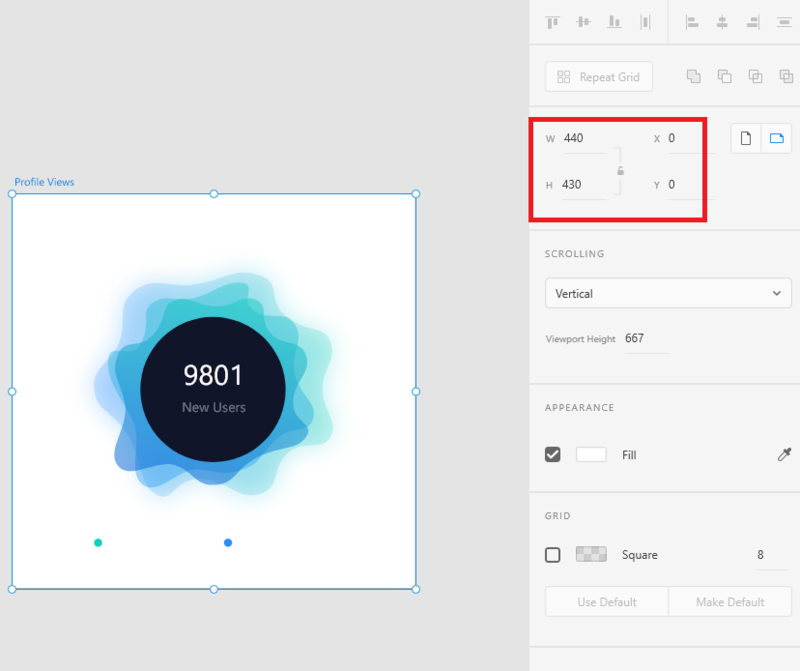 Before exporting a group from Adobe XD, create a new canvas with the height and width of this group and align the canvas to the 0,0 coordinates. This yields much better translation coordinates in the exported svg. As in the example above the viewbox of the exported svg is set to viewBox=”12137 3868 440 430″, Also the Translation of “translate(12137 3868)” the first group is somewhat weird. Instead they should be viewBox=”0 0 440 430″ and translate(40 54). This trick is very helpful if you need to calculate translation in your component. The Naming of the group in the svg correlates directly to the naming in Adobe XD. Creating the react component is a lot easier if you structure your prototype in Adobe XD nicely and give every element a descriptive name – I know, naming is a hard thing. I created a codesandbox for this blog post sample, if you like, you can play a little bit with it.